Two Yosemite climbers are pushing toward the 3,000-foot summit of El Capitan. Tommy Caldwell, 36, and Kevin Jorgeson, 30, have both conquered Pitch 15, which is one of the most challenging portions of the climb. As they continue their ascent, Caldwell and Jorgeson hope to become the first to “free climb” the Dawn Wall. As discussed by Los Angeles Times, there are 100 routes to the summit of Yosemite’s El Capitan. However, free climbers have only attempted 13 of those routes. Nobody has successfully scaled the Dawn Wall without the use of climbing aids. Free climbing is essentially accomplished with minimal equipment. Although Caldwell and Jorgeson are using safety ropes to “prevent deadly falls,” the ropes do not aid in their ascent. 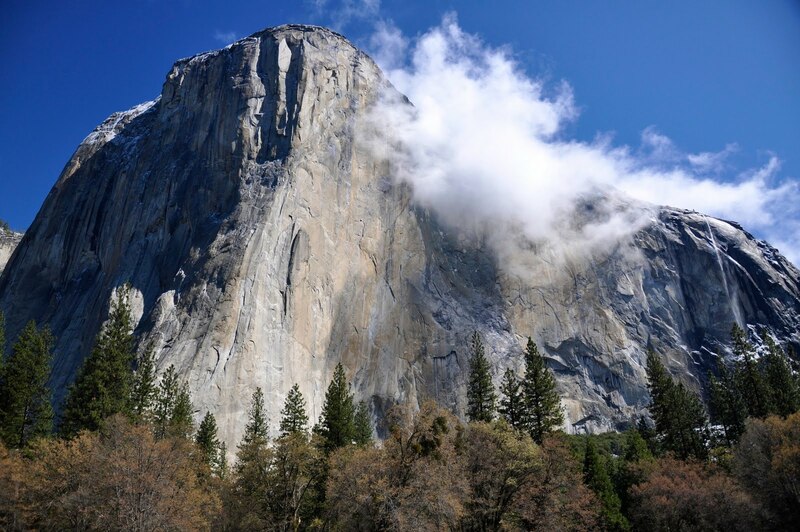 SF Gate reports that El Capitan is the “largest granite monolith in the world.” The vertical rock formation rises 3,000 feet from the base to the summit. El Capitan got its name from the Mariposa Battalion, which explored the region in the mid 1800s. According to legend, Native Americans referred to the formation as “chief” or “the chief,” and the Battalion simply translated the name into Spanish. Throughout the last two weeks, both Yosemite climbers have faced incredible challenges. However, Jorgeson has had a difficult time keeping up with his partner. Jorgeson spent one week attempting to conquer Pitch 15. After falling 11 times he was ready to give up, but he kept pushing forward. When he finally completed the pitch, he shared his victory via Facebook. Although Jorgeson is an experienced climber, this is his first attempt to free climb El Capitan. In sharp contrast, this is Caldwell’s twelfth trip up the granite monolith with minimal equipment. Dozens of spectators are tracking the Yosemite climbers’ progress from the base of the mountain. Retired historian Colleen O’Connor said history is being made and she wants to witness it firsthand. As the Yosemite climbers continue their ascent, they are both expected to reach the summit before the end of the week.